Tom is an American doctor who goes to France following the death of his adult son, killed in the Pyrenees during a storm while walking The Camino de Santiago, also known as The Way of St. James. Tom's purpose is initially to retrieve his son's body. However, in a combination of grief and homage to his son, Tom decides to journey on this path of pilgrims. While walking The Camino, Tom meets others from around the world (three in particular), all broken and looking for greater meaning in their lives. Do you think Tom discovers why he is on his pilgrimage? Do any of the other characters? At what point on the way did Tom actually begin his pilgrimage? 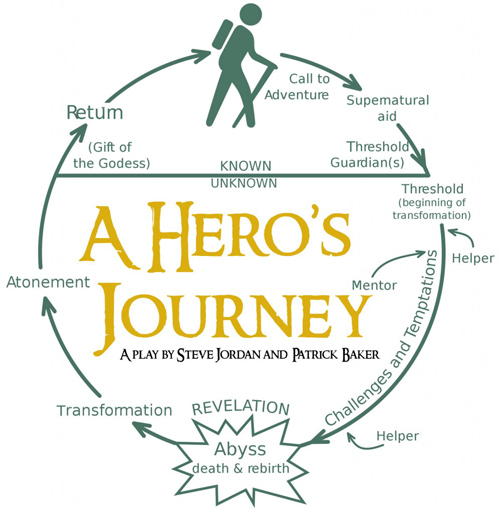 What aspects of Joseph Campbell's hero journey do you see in the film? In what ways are traveling and pilgrimage the same, and how are they different? Does pilgrimage always involve travel? Was there a scene or dialogue in the movie that struck you? 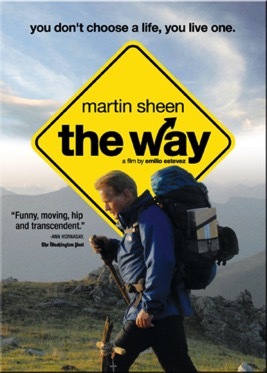 Emilio Estevez (director) and his father, Martin Sheen (Tom) travelled the Camino before shooting this film. How did that influence the crafting of this movie? Did this movie remind you of a particular bible story or scripture? What pilgrimages have happened in your life? Does any particular boon stand out? Did you ever refuse the call (see Hero's Journey link above)? What happened?